Cut the fruit in half or wedges. Bananas must be cut lengthwise. Baste with a mixture of ½ cup butter, 3 tablespoons brown sugar and 1 teaspoon ground cinnamon. Place fruit on grill with skin up. Grill on medium 8 to 10 minutes for halves, 4 to 5 minutes for rings or wedges. 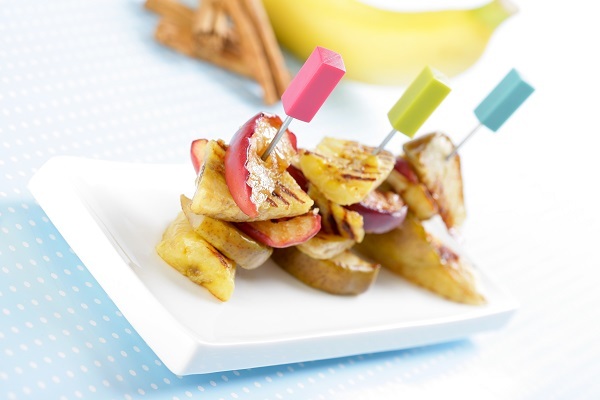 Once fruit is cooked, cut into smaller bites to place on skewer. Alternate each fruit to your liking.